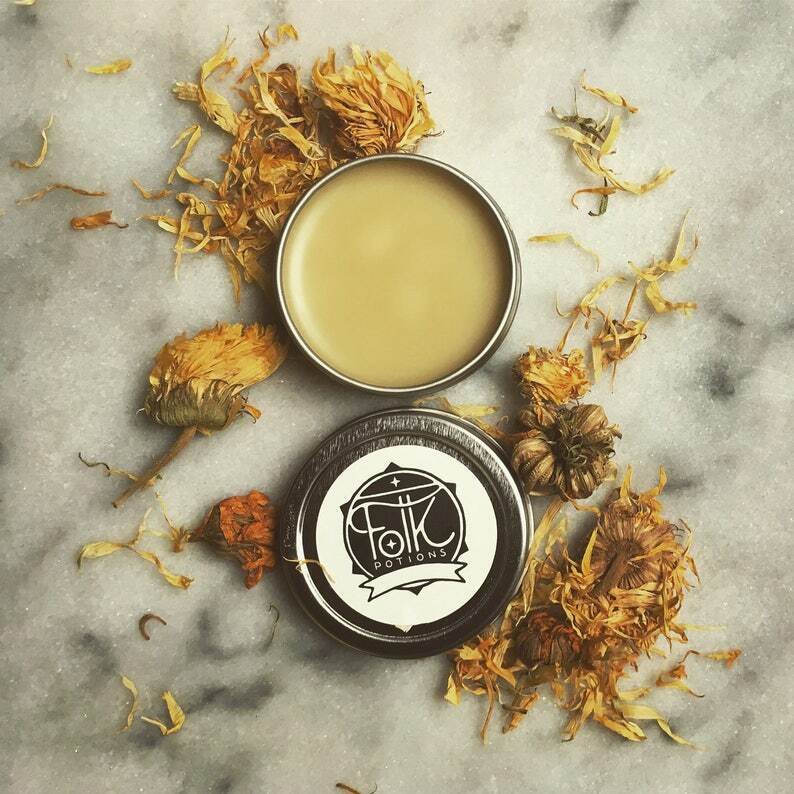 Simple, fragrance and petroleum free, this balm is a serious calmer. 3 ingredients come together to feed sensitive skin during a crisis; calendula flowers infused into organic virgin olive oil and organic beeswax in a handy 1 or 2 ounce tin. My 5 year old says it smells like cookies, and my 3 year old asks to eat it!! This is so gentle and wonderful, it leaves my boys’ skin so soft and smells great. It’s the only lotion they don’t fight me to put on them!